[i] “In the proper churchly sense, a dogma is merely a theological proposition addressed by the community to its members, rather than by members to the community” (“An Ecumenical Proposal of Dogma,” Lutheranism, 4). 1) What would it have taken (or take today) for the Lutheran proposals of Augsburg to be “ecumenically accepted”? 2) I have long heard the phrase that Lutheranism is a confessional “movement”. It this is true, I wonder where Lutheranism is moving today? In other words, where do those who subscribe to Augsburg cast their lot? Or, whom are our confessions meant to “move”? 3) As one who publicly subscribes to the Book of Concord, I would welcome the opportunity to engage many of the “proposals” contained in its content. But, if I even open that door for reconsideration or conversation, where does that leave me in the “movement”? I will take a quick stab at your questions, quote some more Jenson, and then hopefully make room for others to contribute. 1) “Ecumenically accepted” at the time would have meant that at the Diet of Augsburg the CA would have been accepted as dogma for the Church: ie. “We see what you are saying; your confession is our confession…etc.” This doesn’t mean that “Lutherans” are now looking for Rome’s approval because back then, in 1530, “Looking for Rome’s approval” means something quite different than saying it today. 2) I can’t answer all of those questions but I think the confessions are supposed to “move” the catholic church. Jenson claims that they are still proposals of dogma being offered to the catholic church by “Lutherans” who, because of the CA’s not being accepted by some whom the “Lutherans” could not not consider church, continue to offer them as a proposal of dogma. 3) I am not sure that I am in any position to adequately respond to that final question. But allow me to quote a little more from Jenson to give all of this a bit more context. “Whether this movement is organized as a “church” or not is secondary to its purpose; some times and some places it is so organized, and other times and places it is not. 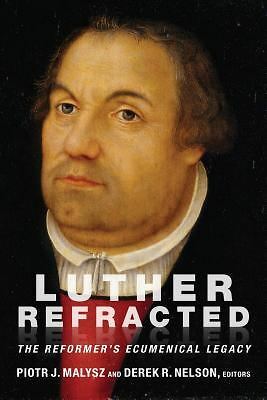 In any case, the Lutheran confessions are not primarily the constitution of an established denomination or territorial church; they are rather the manifesto of a movement whose ecuemnical hour–if it has one–is still partly in the future. “The Lutheran Church” is, indeed, an ecmenical movement of its own: it is a fellowship of territorial churches, denominations, and sects that contains within itself nearly every possible kind of church life and organization, and is held together only by common dedication to the Lutheran theological movement” (Lutheranism, 6). A couple of impromptu responses. First, I wonder whether this is how the princes and theologians at Augsburg saw their task or their contribution. Tappert translates the title of CA thus: “The Augsburg Confession: A Confession of Faith Presented in Augsburg by certain Princes and Cities to His Imperial Majesty Charles V in the Year 1530″. Both this and the actual content (and order) of the articles in Part I suggest a summary of the Christian faith, not a dogmatic proposal of something new. It’s obvious in the first couple of articles that the ‘Lutherans’ are aligning themselves with the Ancient Church. There is no perceptible gear shift from Article II to III to IV-VIII in this respect. There is a definite conciliatory tone to the Preface, but no suggestion of compromise over dogma. Moreover, the “dogmatic proposal” of Article IV gets treated as something quite different in the Apology! Secondly, to have the acceptance of the Diet of Augsburg hardly constitutes an ecumenical acceptance in the proper sense of the word. Perhaps a “wider acceptance”, or acceptance in the Western church. My (admittedly cynical) hunch is that this is a ploy, a systematic sleight of hand, to create an ecumenical simul: simultanously an Augsburger and an ecumenical inclusivist. Finally, I can’t help wondering whether notions of the sociological ‘visibility’ of the Una Sancta may be lurking behind Jenson’s thinking (and I’m not referring to the Reformed/Pietist visible-invisible distinction here, but rather a Roman Catholic type identification of a particular organisational entity as the ecumenical body). I don’t know enough about his theology to call this anything than a poorly educated a guess, but it would certainly make sense and give coherence to the type of argument in this fragment. “In the proper churchly sense, a dogma is merely a theological proposition addressed by the community to its members, rather than by members to the community” (4). “…Dogma is always ecumenical: it is addressed by the whole church to the whole church. In classical discussions of these matters the point is always made that “reception” is essential to dogma:…it becomes dogma in that it is explicitly confessed as self-defintion by a community that can with some plausibility claim to be the catholic church” (5). “Dogma and proposed dogma claim authority. Dogma is addressed by the community to the individual, saying: this is how you should speak” (6). I also don’t think that Jenson at all conceives of the CA as being a proposal of dogma which attempts to introduce something new or compromise. I think he deals with the issue of “acceptance” quite clearly in the second quote. To the last critique, I wonder if this quote from Jenson is pointed to it: “Any attempt to decree that a particular form of government, or of ministry, or of worship, or of social presence, is permanently necessary to the church is a declaration of independence from the Scriptures and creeds” (10). It bothers me a great deal that Lutherans seem to have abandoned all meaningful ecumenical talk with those who are not Lutheran. The CA was clearly an ecumenical document and I believe offers much for the catholic church to engage in contemporary discussion. I am also bothered by Jenson’s notion that Lutheranism is a movement. Even if this movement is within the church, I still would like to believe that Lutherans are indeed church in the proper term. Finally, as it relates to dogma (and I don’t mean to open a new can of worms), who ultimately decides what becomes official dogma of the church? Obviously there are many within the church who do not accept the CA. They do not, as was noted above, believe its articles are dogma. So, who decides and by what standard is this decision made? Addressing Jenson specifically, how can authority be claimed when many reject the proposal? *At the time at least*, following the rejection of the proposal by Rome, the Lutherans certainly did not see the proposal as necessarily being rejected by the Eastern churches (we know this because years later the CA was translated into Greek and sent to the Ecumenical patriarch). Curious – anyone know whether the Eastern Churches see the Papacy as having a “primacy of honor” by divine right? While I know some EO are pretty quick to say they are the true Church, I know others are not as eager to say such things, and I wonder if seeing the papacy as having a primacy of honor by divine right (i.e. somehow seeing this position as being an important part of that ontological body which is the church) might have something to do with it. There are in indeed persons in the EO church who contend that there is a true sense in which God intends for the bishop of Rome to have a *primacy of honor*, though not necessarily of jurisdiction, in the church. *In other words, the papapy’s primacy of honor is, in a sense, an essential part of that organic, ontological entity, called Christ’s body. * I think that this means that even if we think we might be autonomous from this office regarding matters Church (as the Tractate seems to do, consigning this issue to the “human right” category), we would only be fooling ourselves, as God means to work through – and in fact does in spite of us – this particular office for the good of His body. Seems like something worth seriously considering – at least to me. Which leaves counsels, who have errored. Also, is there a good reason for saying that there can absolutely be no parts of the Book of Concord that are lacking context, nuance, fairness, etc? Why not? It seems to me that just because it is the church’s nature to “believe, teach, and confess” (it can’t not do this – it is not really proper to hem and haw, expressing questions about what appear to be essential matters related to the truth of the Gospel in one’s preaching and teaching), does not mean that it cannot also realize that things could be said differently (this would not necessarily involve repentance), with more carefulness and precision, from a wider perspective, etc. – or that it can’t recognize that while some matters may have been connected to the pure proclamation in the Gospel in one time and place, they may not necessarily be in another. So, if I have this straight, in Jenson’s view, since we are a “confessing movement”, our “church” (i.e. our congregations and those associating with us), from its beginnings (I know many say “we are simply a continuation of the true church”, but as viewed by the world, the Lutheran church is something of the initial break off of that entity which until that time, had been visibly recognized by all, high and low, in the West as the one Church) has been in a “state of confession” within the Church. Thanks for your engagement and thoughts on this topic. Dr Mattes wrote the “Brief Introduction to Justification” specifically for this site. So, no copyright infringement possible. Well, my thoughts are a bit unusual and perhaps seem a bit random – I hope others might be able to do more with them. I think its great that you got Dr. Mattes to write those bits for your site. Hope to get around to reading them soon. I think that any primacy of one bishop over another by “divine right” is unacceptable for, at least most, Lutherans. Both the Roman Church and the Eastern Orthodox Church have a similar historical position, that of “imperial churches.” Their hierarchical structures were developed along the same lines as secular authority within the Roman Empire. Ascribing “divine right” to such an ecclesiological structure, at least to this Lutheran, seems problematic, if not downright dangerous. “Divine right” given to any temporal authority, be that secular or churchly, has been an ideological tool for the maintenance of almost every tyrannical and oppressive structure within the history of human society.